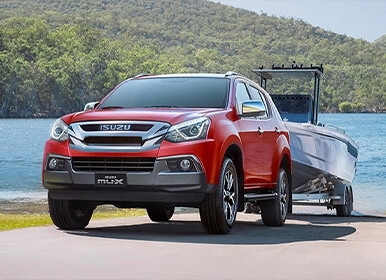 A true family-sized seven-seat SUV, the Isuzu MU-X redefines the boundaries of adventure. The Isuzu MU-X is a stand out performer on or off-road. 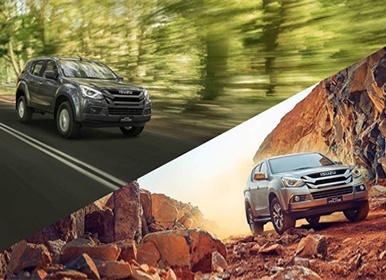 With the legendary Isuzu 3-litre turbo diesel engine, a beefed up 430Nm of torque and an intuitive 6-speed transmission, the MU-X is all you need to tackle any adventure. 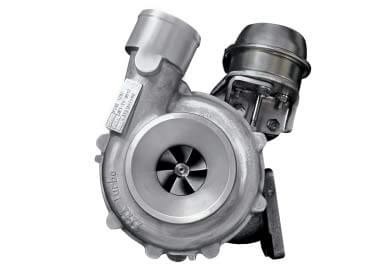 3.0 Litre Capacity: The secret to producing efficient power is to have a large capacity, under-stressed engine, able to cope with the challenges you throw at it. 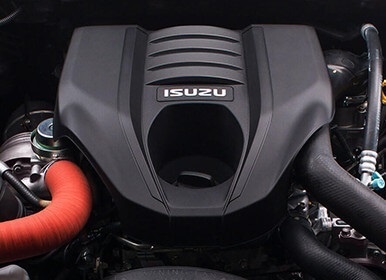 This is how the 7-seat Isuzu MU-X delivers more power and torque with less fuel, making it one of the most fuel efficient 7-seat SUV’s available. 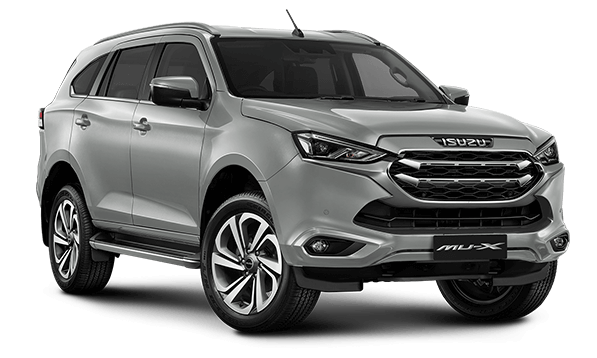 Turbo Diesel SUV: Isuzu are diesel specialists, and MU-X is powered by the famous Isuzu 4JJ1 turbo diesel engine— making it the only turbo diesel SUV on the Australian market with this under the bonnet. 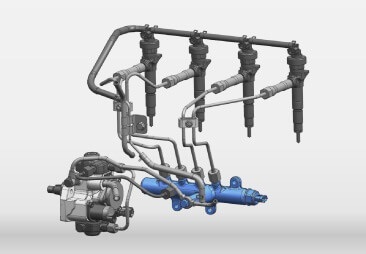 If you want power and torque on demand, this engine gives it to you. Torque on Demand: You're taking your family on holiday, towing a trailer loaded with camping gear, and now you're heading up a hill – no worries. With 430Nm of torque, you'll experience smooth acceleration no matter what load you're carrying. 4x4 & 4x2: Like to tour the highways or hungry for off-road adventure? Everyone’s different, so MU-X has both 4x4 and 4x2 options. Manual: From crawling across a rocky embankment to cruising down the highway, the 6-speed manual gives you total flexibility in all situations. Automatic: Want the ute to do the work for you? We've got you covered with a 6-speed sequential automatic transmission (which includes Rev-tronic sequential shifting if you want to take control). Grade logic keeps you in the correct gear when ascending and descending tough terrain. Terrain command: Driving along sealed roads you’re already set, but when it comes to dirt, beach or gravel just turn the dial to 4-High for more traction. 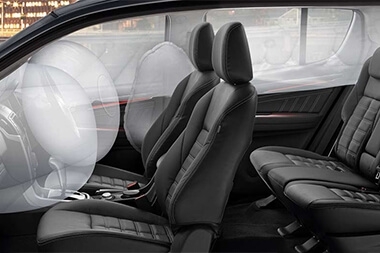 At speeds up to 100km/h, you don’t even need to slow down. And if you’re going off-road into sand or mud, turn the dial to 4-Low for extreme traction and ultimate control. Terrain Command: All 4x4 MU-X models are equipped with Isuzu's super-easy to use "Terrain command" 4WD select dial with hill-ascent and descent control in 4L – so when the road that takes you to that secret beach or hidden mountain range gets tough, your spirit for adventure won't be stopped in its tracks. Underbody Protection: Our 4x4 SUV models feature underbody protection including a steel sump and transfer case guard for extra protection when the going gets rough off-road. Rugged Suspension: The specifically developed High-Ride coil spring and gas shock suspension balances firmness with suppleness, offering a comfortable ride without compromising handling. 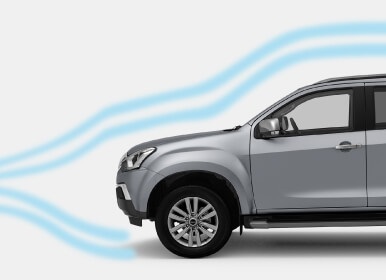 Hill Start Assist & Descent Control: Comfortably tackle any environment with an electronic brake control that automatically engages the Hill Start Assist to prevent vehicle roll-back when starting on steep gradients (above 5.7 degrees). Hill Descent Control will give you the confidence to tackle any downhill terrain, giving you maximum traction. Touchscreen Display Audio System: An eight speaker touchscreen display audio system is standard on MU-X LS-T, LS-U and LS-M models. Satellite Navigation System: satellite navigation system with live traffic updates is standard across MU-X LS-T and LS-U models. 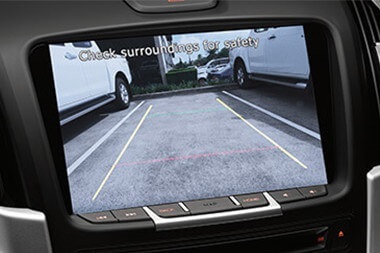 10" Video Monitor: LS-T models also come standard with a fold-down 10" monitor to keep backseat passengers entertained. If you are interested in the Isuzu MU-X, the best way to experience it is with a test drive. Just fill out a short form with your details to book a test drive with us. Get the very latest brochure on the Isuzu MU-X. If you would like to know more from the team at Mackay Isuzu UTE please feel free to get in touch with us.